When most people think about health care, rarely do "discounts" and "low prices" come to mind. The retail behemoth, which markets itself as the leader in "Everyday Low Prices," is beefing up its presence in the health care sector. It inked a deal last month with Anthem, one of the nation's largest insurers, to entice more Medicare enrollees to buy over-the-counter medications and health supplies at its stores. It recently tapped former Humana executive Sean Slovenski to lead its health and wellness division. And it was reportedly looking to buy PillPack before Amazon purchased the online pharmacy in June. Walmart (WMT) is one of the latest -- and largest -- retailers to expand its reach into the fast-growing and lucrative health care arena, which makes up 18% of the nation's economy and is growing. Amazon is also ramping up its health care offerings, and CVS (CVS) is purchasing Aetna (AET) to expand its services. Walmart's moves will help it gain a further foothold in this market and deepen its relationship with its 140 million weekly customers. It comes at a time when the mega-retailer is looking to fend off rivals, including Amazon. "Because of its strategic importance, we've decided to put more focus on our Health & Wellness business in the near term," Greg Foran, CEO of Walmart US, said when announcing Slovenski's appointment in July, noting that Slovenski will report directly to him. The company declined to comment for this story. Already one of the nation's leading pharmacies, Walmart could look to provide more low-cost health services, including basic medical care through nurse practitioners, physician assistants or even doctors, experts predict. Big discounters such as Walmart may also offer primary care, nutrition and weight counseling and chronic disease management, said Sam Glick, a partner in Oliver Wyman's health and life sciences consulting practice. That's one of the main advantages physical retailers have over their online competitors. "There's a certain amount of health that's about laying hands," Glick said. Expanded care was a key motivation behind Walmart's reported negotiations with Humana (HUM)earlier this year. The two were exploring a variety of options, including Walmart purchasing the health insurer, according to the Wall Street Journal. What is health care's allure for Walmart? Medical services typically have higher margins than store products. Since they are often provided in person, there is more opportunity for consumers to pick up other items while visiting the store. And usage is growing, especially as the United States' population ages. As Walmart expands its health care menu, it builds even more ties with its shoppers. Its deal with Anthem, for instance, lets the insurer's Medicare Advantage customers use their plan benefits to purchase over-the-counter medicine, first aid supplies, support braces and pain relievers from a store. Also, the retailer's locations blanket the nation. Many are in rural areas where there are few other health care options. Walmart often operates as a community center, with customers dropping in a few times a week. And it serves as a one-stop shop, where people could access medical services and pick up whatever other items they need. "You have thousands of physical locations so the convenience is there," said Charles O'Shea, a retail analyst at Moody's. 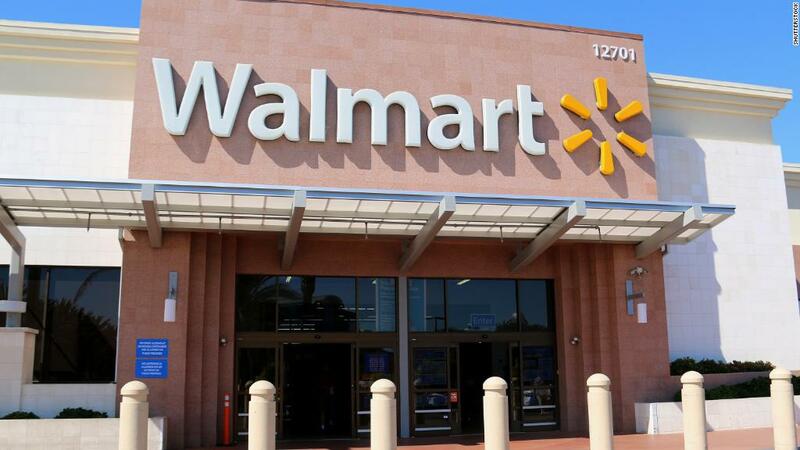 "Consumers of Walmart and other sophisticated retailers will begin to identify them as their trusted health care partner and use them for an increasing range of health care services," said John Matthews, national strategy leader, healthcare and life sciences at KPMG. Health care isn't a new area for Walmart. The Bentonville, Arkansas, company has years of experience providing Health and wellness products, which have accounted for 11% of its merchandise sales in recent years. It's probably best known for selling several dozen generic prescription drugs for $4 each, a program that launched in 2006. Customers, many of whom are senior citizens, can also get eye care at roughly 3,000 in-store vision centers and free health screenings at Walmart's 4,700 locations four times a year. They can receive hands-on help enrolling in Affordable Care Act policies, Medicare Advantage plans and prescription drug plans through the company's partnership with directhealth.com.